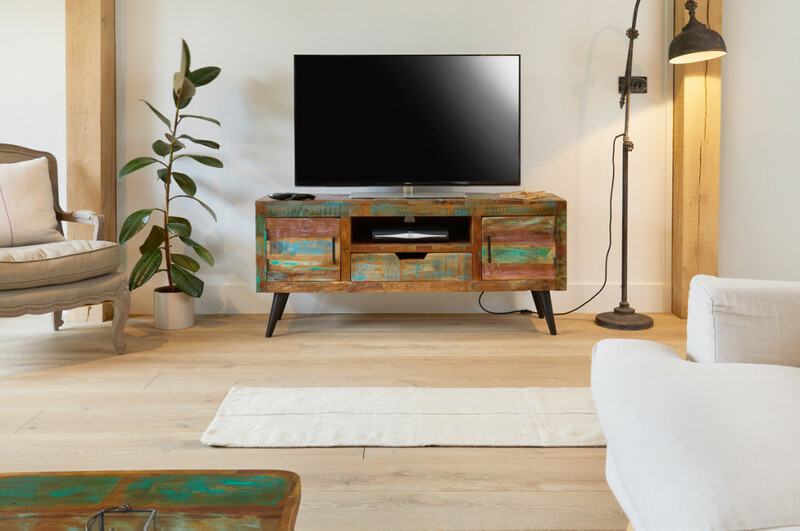 With the growing importance of sustainability, we’re proud at the Wooden Furniture Store, to be introducing another range crafted from reclaimed materials. This Autumn, discover our new collection, the Coastal Chic Furniture Range, which is crafted from recycled wood sourced from Southern India. 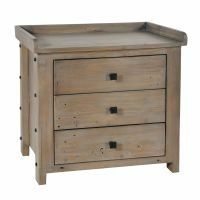 Filled with character, each piece of reclaimed wood is combined with welded cast iron to add industrial edge to its rustic design. 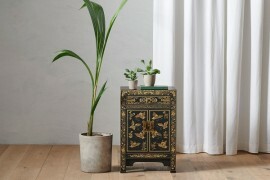 This furniture range will be a talking point in any room in any home given its previous history and the fact that each piece is completely unique and individual. The collection will be available later in October but in the meantime, here are a few of our favourite pieces. 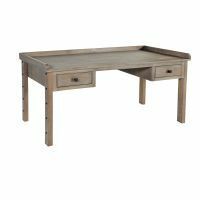 Handcrafted from reclaimed timbers this industrial style pipe-legged desk is perfect for those who work digitally but like quite a bit of space to spread out. 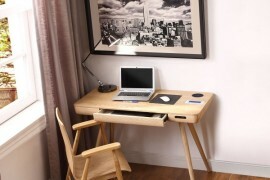 The desk has two storage drawers and would look equally at home in the living room or home office. 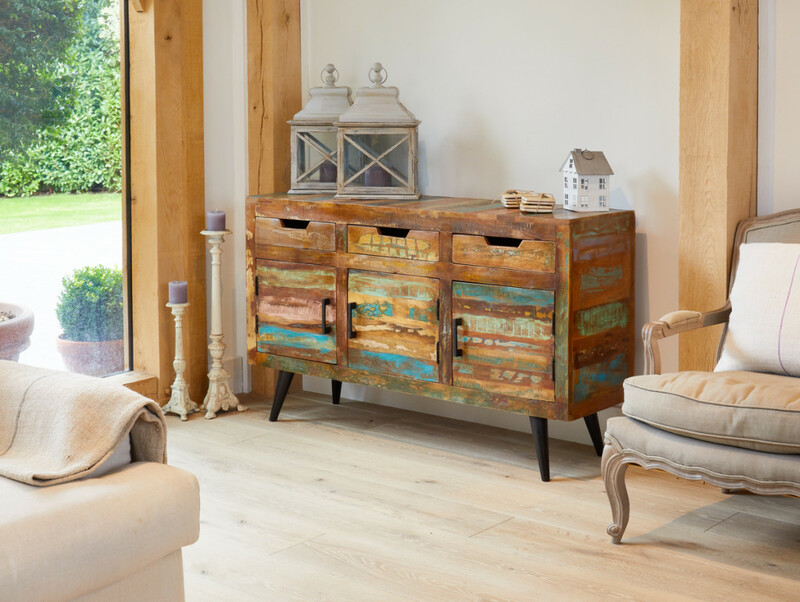 We love that our skilled craftsmen have done their best to preserve the original colour and markings of the wood to make this a truly individual piece of furniture. 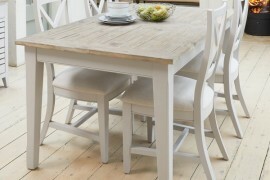 This industrial inspired dining table will look fabulous in your home with its reclaimed wood table top and metal legs. 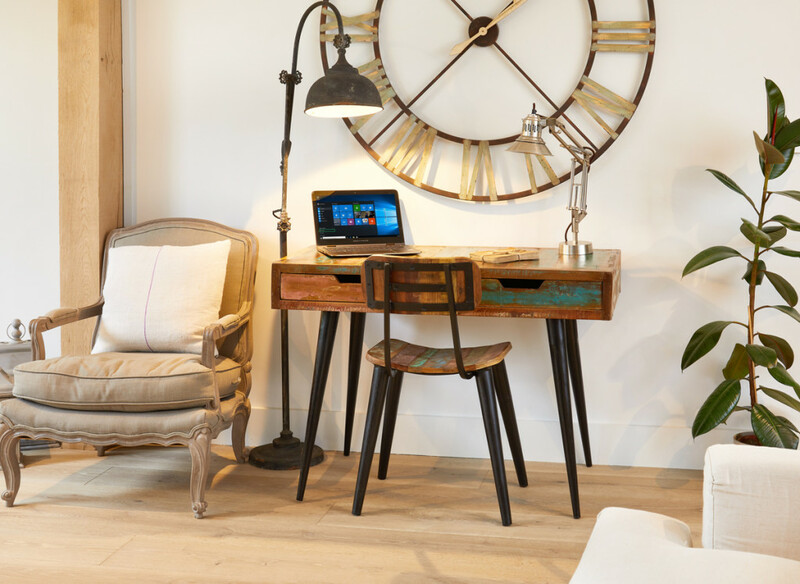 The hardwood used to create the Coastal Chic furniture range is sourced from reclaimed timbers and still bears its natural colouring and markings, some of the wood used is over 150 years old. 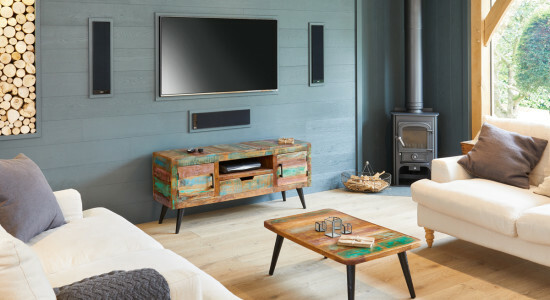 The combination of reclaimed wood and cast iron highlights the wear and tear feel which makes Coastal Chic furniture unique, contemporary and perfect for the most design led homes. 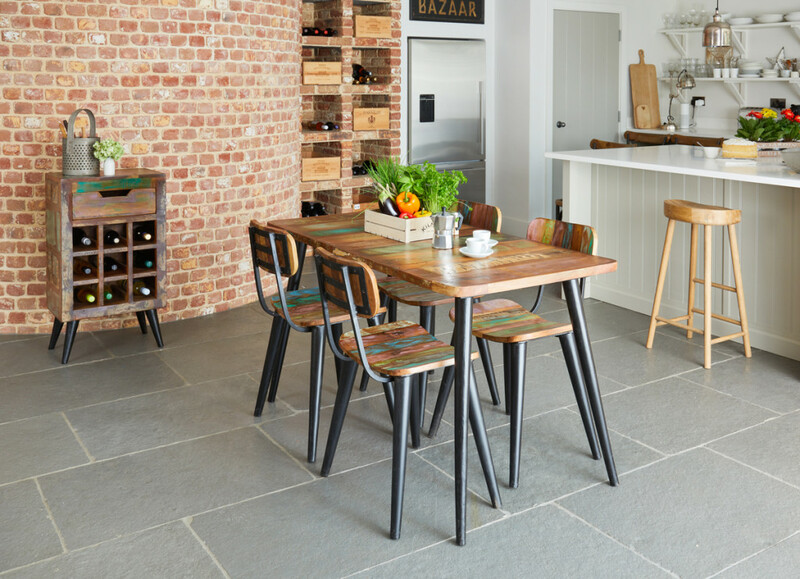 To match the dining tables in the range, the wine rack will keep 9 bottles of your favourite tipples organised and within easy reach. The design also includes a drawer for all your corkscrews, foil cutters and stoppers. 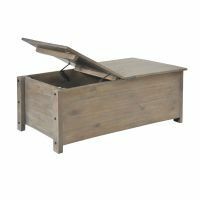 Each piece of wood used in the Coastal Chic range has its own story with a little piece of history to tell. Recycled wood furniture is more interesting than mass produced furniture and that’s what makes each piece charming and unique. 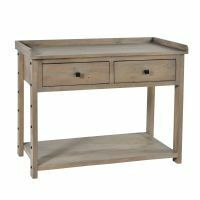 This large sideboard is a perfect companion to the dining tables in the range and is ideal if you’re looking for lots of extra storage and a beautiful statement piece of furniture. 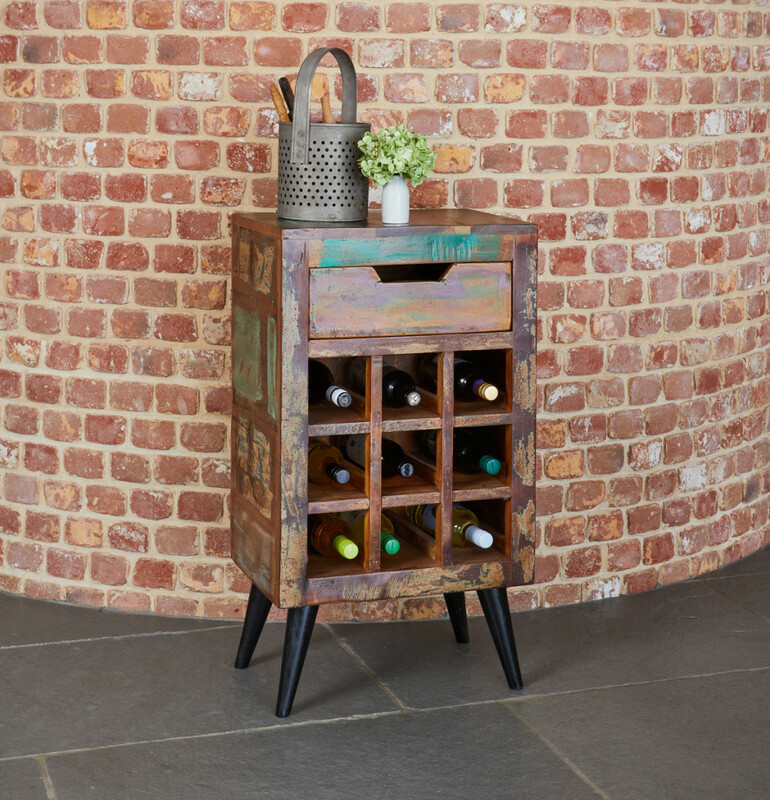 Made from solid reclaimed wood with cast iron legs, this exclusive piece of furniture would be a stylish addition to your living room. A benefit of incorporating reclaimed wood in the Coastal Chic range is that each piece is 100% unique and has lots of character from the different grain patterns, knots and burrows, nail holes, discoloration and uneven edges found in salvaged wood. 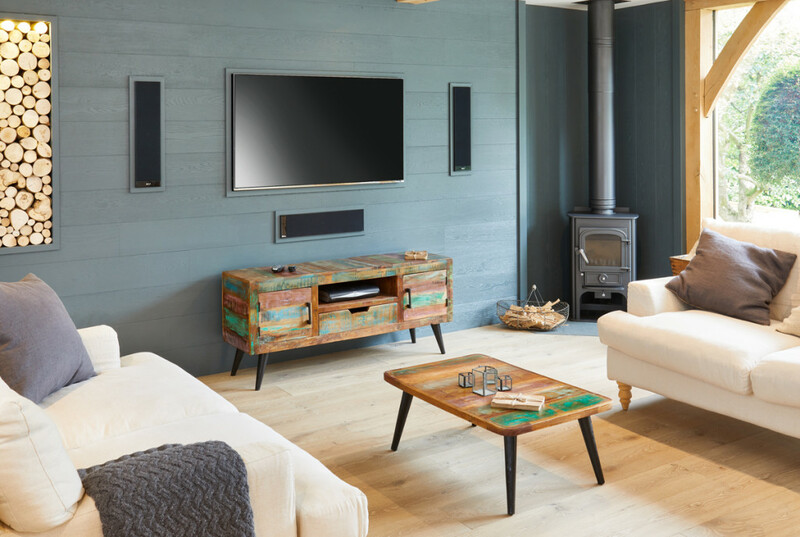 A focal point of any living room, this retro style is crafted from reclaimed timbers meaning that you’ll never find two Coastal Chic coffee tables that look the same. It’s sturdy, industrial inspired legs have been forged in cast iron creating a quirky additional feature. 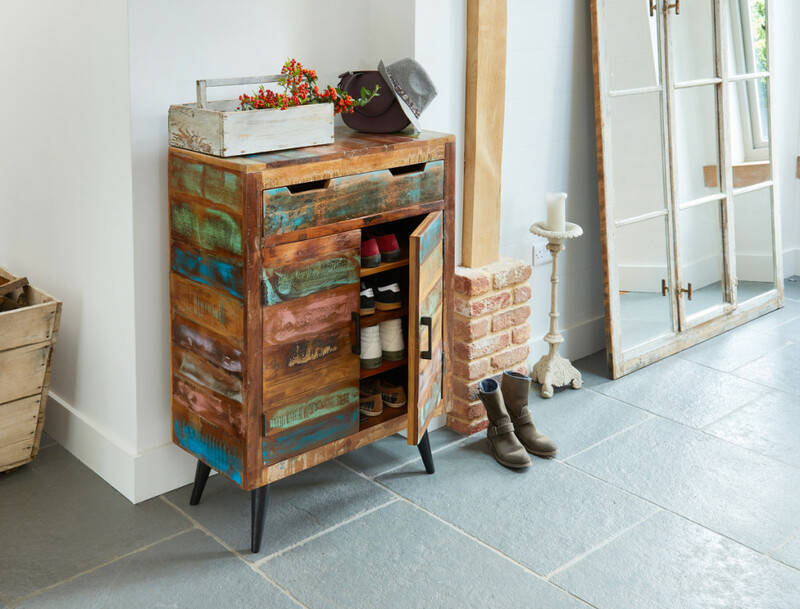 We’ve added a Coastal Chic shoe cupboard to our best selling range of hallway storage. 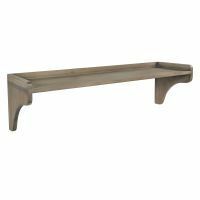 A perfect size for positioning by the front door, it’s a piece of furniture that no home should be without. We hope that you agree that our new Coastal Chic range would make you #houseproud. This is just our pick of a few items from the collection, visit the range on our website to see the entire collection later on during October.